Track 4, "MixTape: Black Theology's Mixtape Movement at Forty," provides a rationale for how Black Theology can offer a lens for which to look at ethical issues in a digital world. Banks notes that a Black Theological framework is a "a mixtape movement or a rhetoric of synthesis allowing both access and transformation, would encourage black people to make use of technological systems and tools toward racial justice" (123). 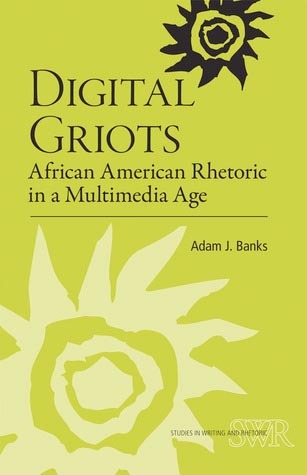 His concern, then, is not with the preacher as a griot, but with questions of liberation; Banks articulates how the sermon has been a mixtape of some sorts that grapples with the relationship between resistance and participation. Banks makes known that looking to Black Theology could push us toward a type of digital alertness that could help us all engage media in meaningful and even transformative ways. In interlude 4, Banks recognizes Diva Delight and Rootwork the Rootsblog which is digital griotic project that focuses on world affairs and invokes figures from folk tradition.